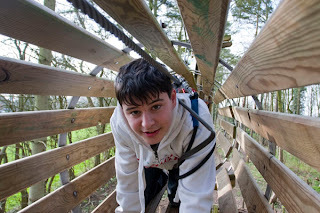 This project requires us to photograph an event in a narrative picture essay. 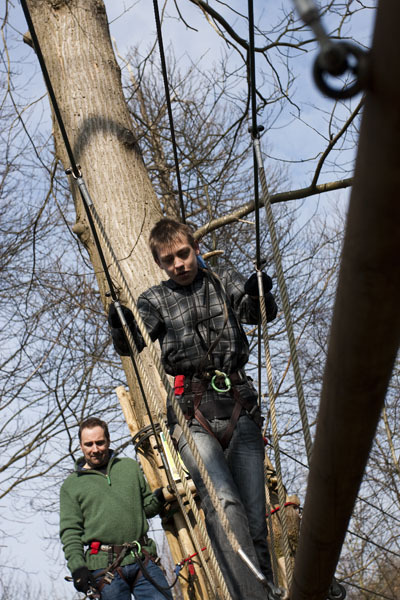 The pictures should form a story and with interest between images along with a short caption for each image. 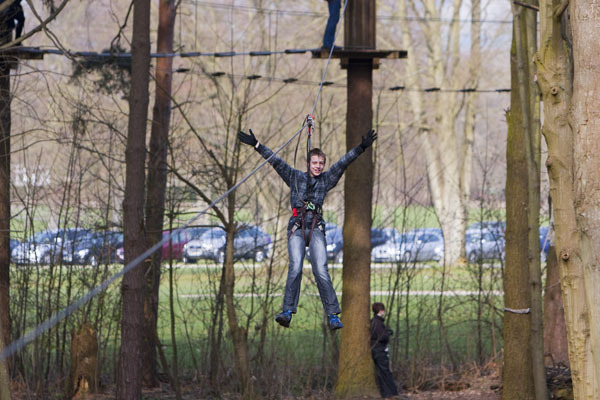 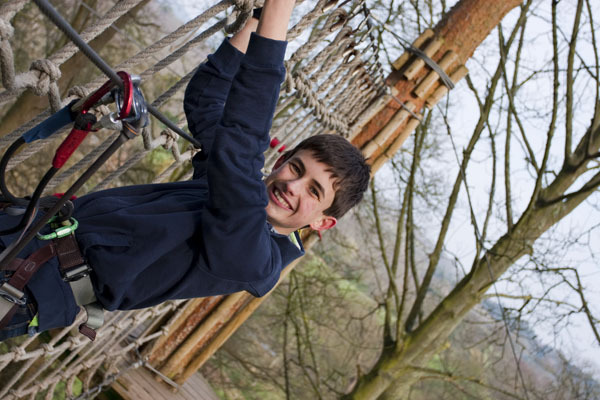 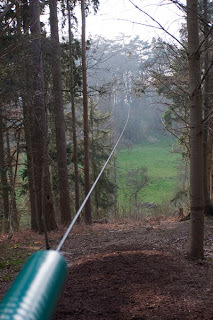 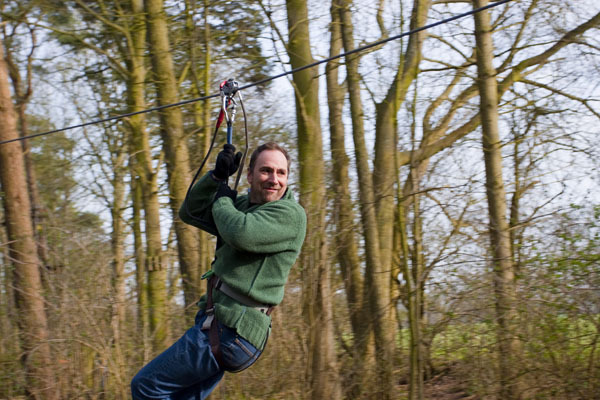 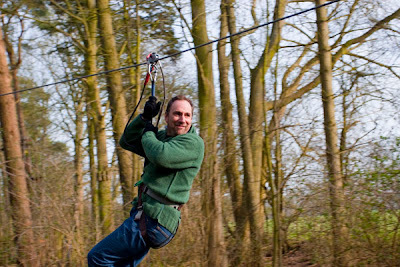 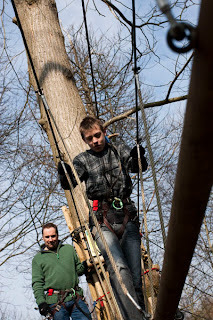 I chose my son's birthday treat to a woodland activity of climbing through trees and descending on zip wires. 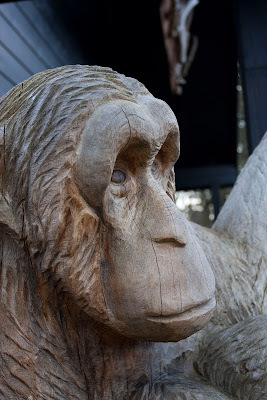 Greeted by a large wooden monkey on arrival makes you wonder are we moving up or down the evolutionary scale? 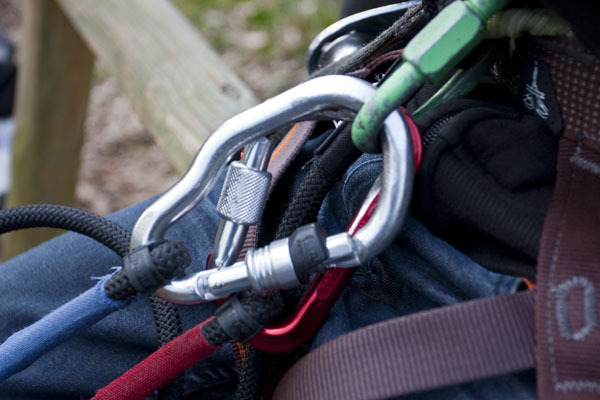 Safety is the order of the day with double, if not triple fail safes. 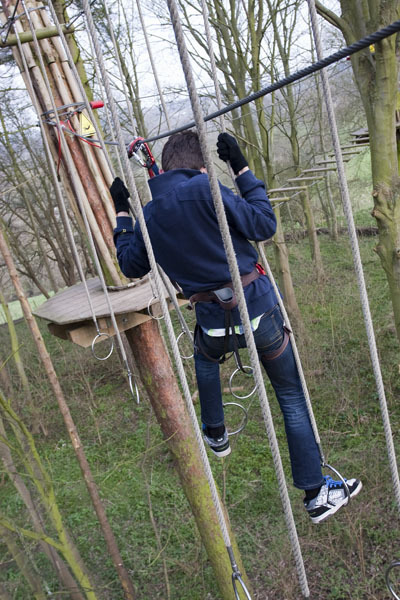 Having to squeeze through narrow obstacles 40 ft in the air to reach the next base. Its not just for kids, well not just the younger ones!